Big news today! We've officially announced Cloud Phone, a new virtual PBX service designed for one-10 person businesses. Cloud Phone’s features go beyond the scope of Voxox's consumer applications, but are more basic than Voxox's hosted IP-PBX and SIP trunking business phone solution. The all Web-based service provides a dedicated business telephone number, supports multiple users per account, and integrates sophisticated call routing and voicemail-to-email delivery within a sleek, simple design. It's accessible and cost-effective for even the smallest of businesses! We have three subscription options, ranging from $19.95 to $49.95 and a 30 day free trial. Oftentimes, small business owners and their employees end up using cell phones as their main line of business communication. These professionals desire to be perceived as more established but do not have the resources or need to install an expensive, sophisticated business phone system. Cloud Phone has advanced business features and functionality but is purposely designed and pre-configured to be up and running in minutes. Furthermore, it requires no special skills to make changes or adjustments as small business owners add workers and departments to their growing companies. Examples of businesses that might benefit from Cloud Phone include: a mobile car detailing service, catering company, financial consulting business, law firm, any sole practitioner, such as a real estate or insurance agent, and almost any one-to-10-person business, whether geographically dispersed or single-location. The service subscription can be purchased directly on the Voxox Web site or through the Voxox Channel Partner Program. Cloud Phone Basic/Starter Plan, whichincludes one local phone number, 500 minutes of calling and up to two users for only $19.95 per month. The cost for additional minutes is only 4.9 cents per minute. Cloud Phone Plus Plan, which includes one local phone number, 1,000 minutes of calling, and up to five users for only $39.95 per month. The cost for additional minutes is only 3.9 cents per minute. 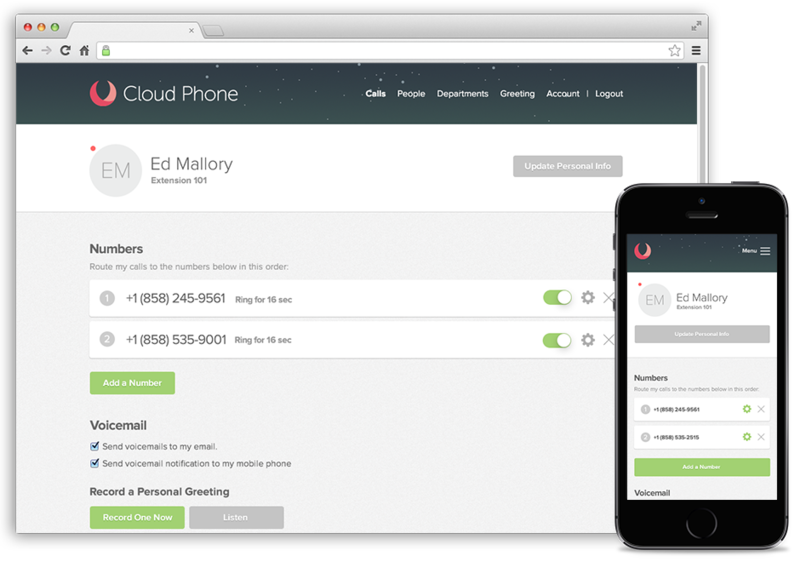 Cloud Phone Pro Plan, which includes one local phone number, 5,000 minutes of calling, and up to ten users for only $49.95 per month. The cost for additional minutes is only 2.9 cents per minute. For more information about Cloud Phone, please visit www.voxox.com/cloudphone.Cloud Phone will also be demonstrated at Mobile World Congress held in Barcelona, Spain, February 24-27, 2014 (Booth #1E43 – Hall 1) and at the Channel Partners Conference & Expo held in Las Vegas, Nevada, February 26-28, 2014 (Booth #4036). Voxox is an innovator in unified cloud communication solutions for consumers and businesses. For consumers and its operator partners, Voxox delivers cutting-edge mobile and desktop applications that integrate voice, video, messaging, fax, media sharing and more. For businesses, Voxox provides an extensive suite of carrier-grade business phone solutions, including hosted IP-PBX, SIP Trunking, high volume SMS service, as well as a wide array of wholesale services. The foundation of the company’s offerings is its award-winning unified communications platform in the cloud, which enables the company and its customers to build powerful, scalable applications and services. Founded in 2006, Voxox is headquartered in San Diego. For more information, please visit www.voxox.com.